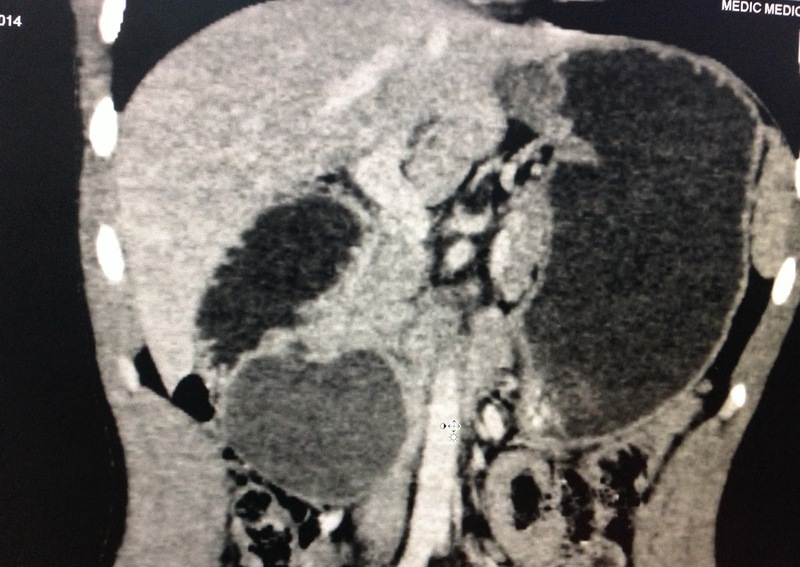 Man 57 yo, diabetes and gallbladder stone. He's got Murphy's pain. 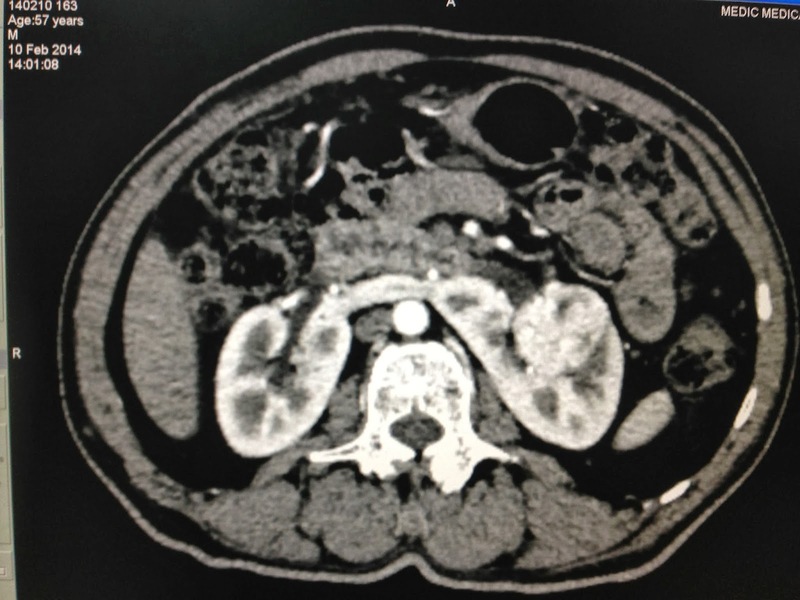 Abdominal CT with CE detected the horseshoe kidney with tumor of 3cm. 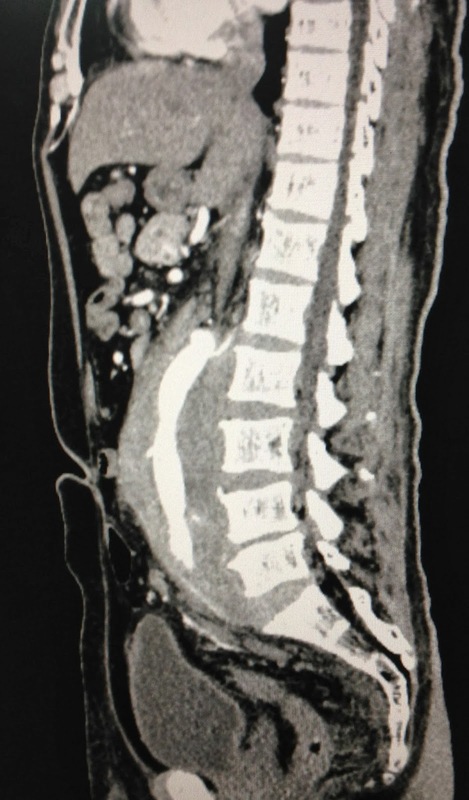 ( Fig.CT 1). 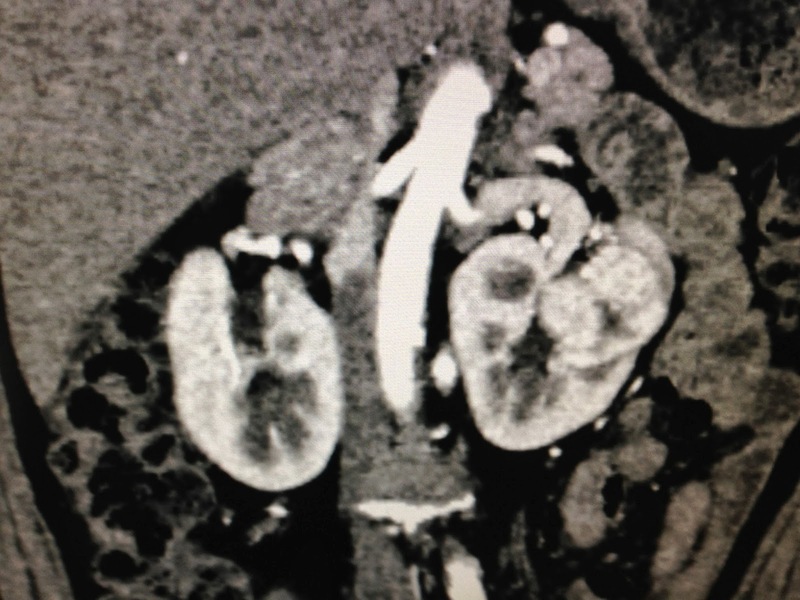 Ultrasound for evaluation of this tumor was hypoechoic, at the left part of horseshoe kidney and hypovascular( Fig. US 1, US 2). 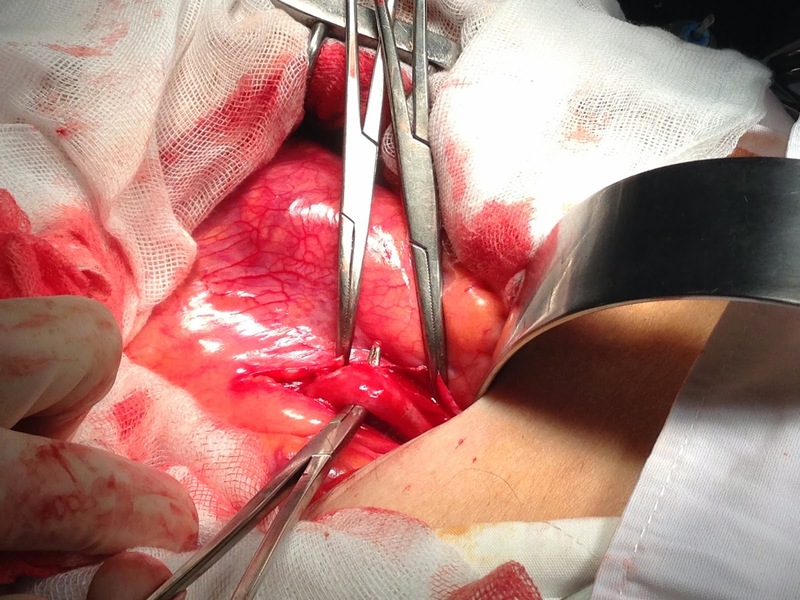 MSCT 640 slices performed with CE again for staging of this tumor (see 4 CT pictures). One urologist said no biopsy. Operation for removing left part of horseshoe kidney. 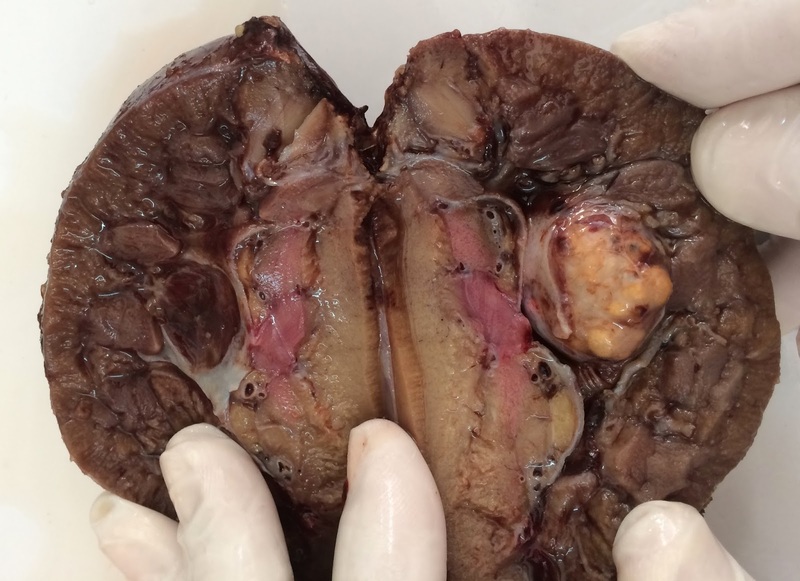 Macroscopic appearance of tumor is well-bordered into parenchyma of kidney. 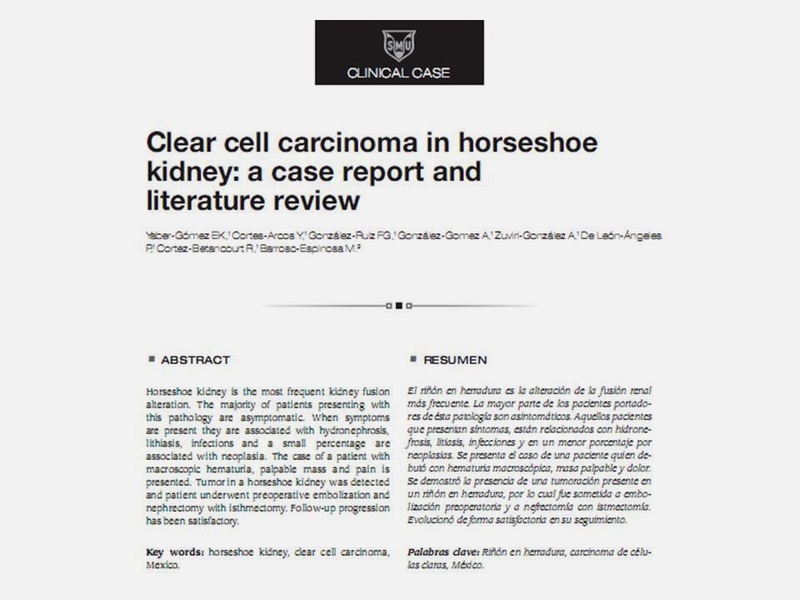 Microscopic report is clear cell carcinoma. 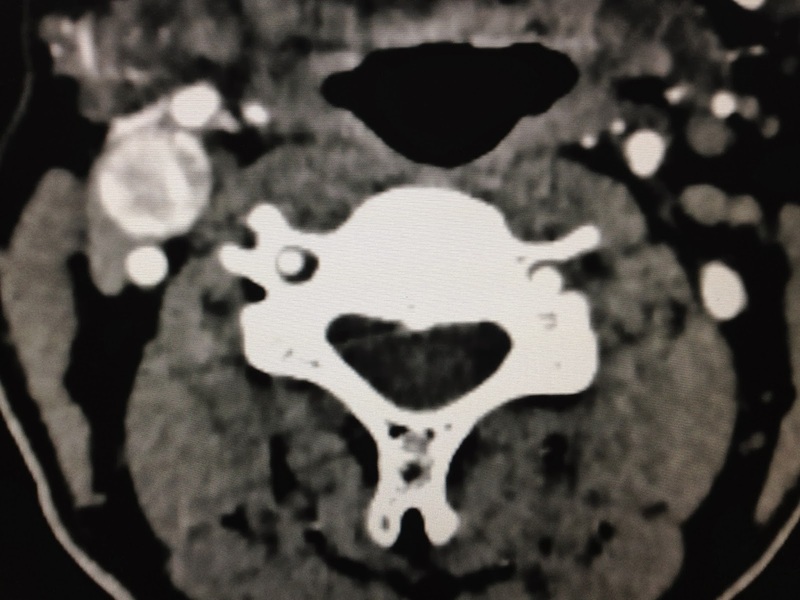 58yo male patient, slight fever and fatigue for 6 months, a lymph node on right neck getting bigger. 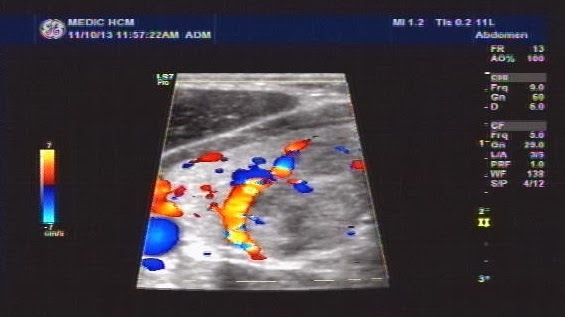 Lymph node at supraclavicular area was hypervascular and looked-like a cyst on color Doppler ultrasound. 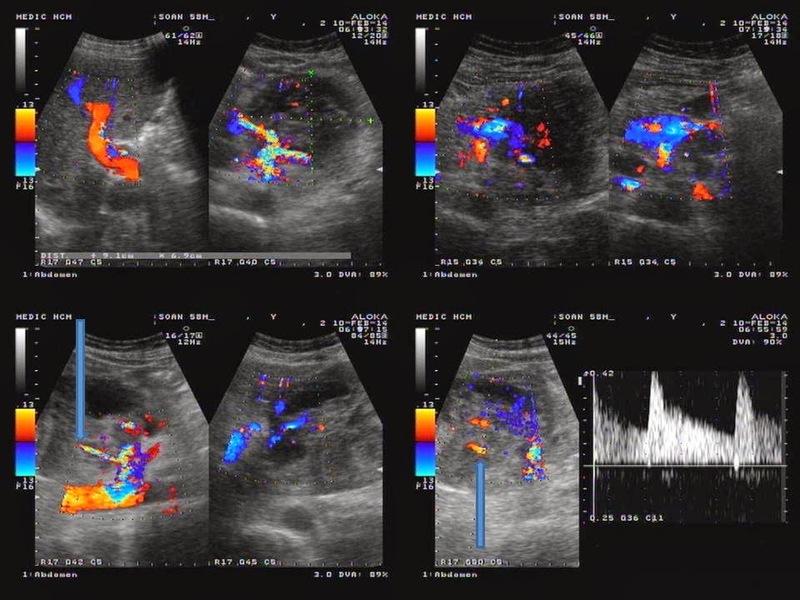 Ultrasound of abdomen detected epigastric tumor between left lobe of liver and pancreas, hypervascular and celiac vessels penetrating the tumor. 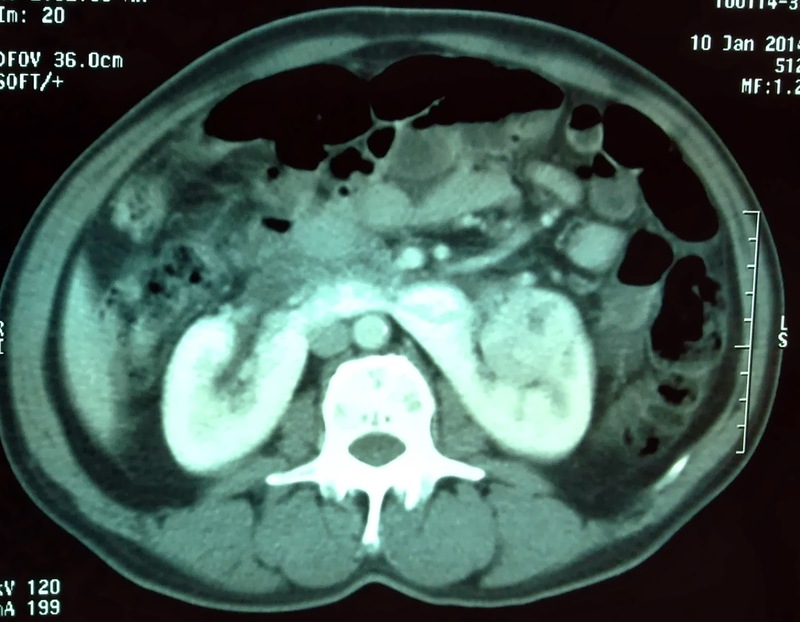 Some nodes were around the tumor, and body of pancreas not well-bordered. 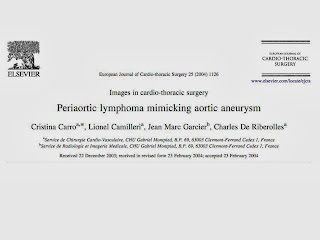 Ultrasonologist thought about lymphoma infiltrating in abdominal cavity and neck, but keepng a different diagnosis with pancreatic tumor metastasizing abdominal and neck lymph nodes. 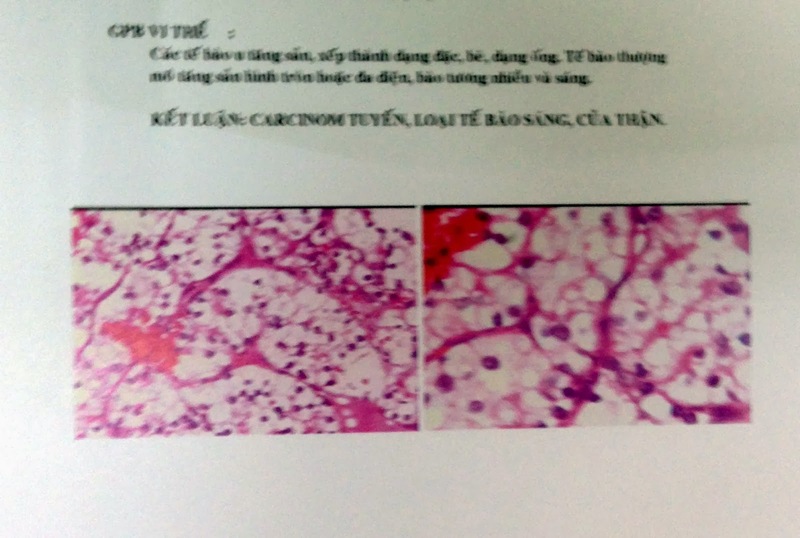 MSCT confirmed lymph nodes lymphoma in abdomen and no pancreas tumor but lower density of the body. 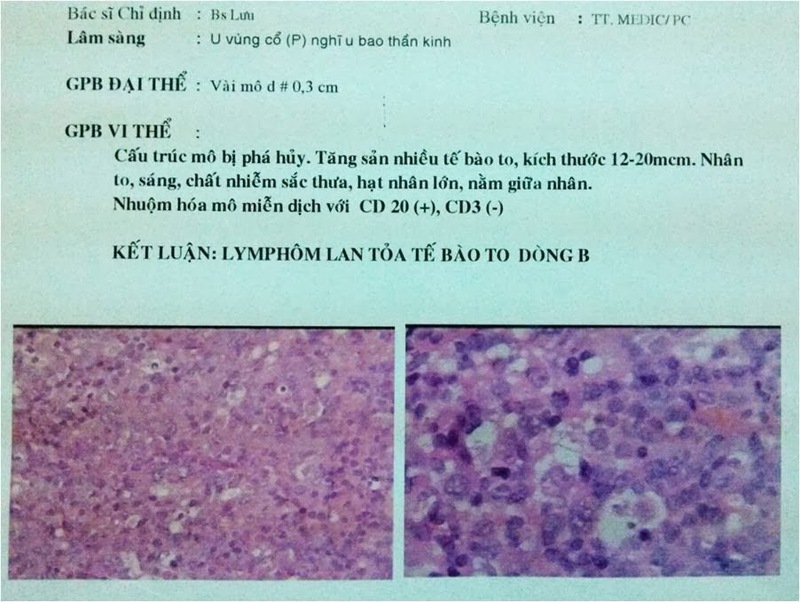 FNAC of neck lymph node and the result was big B cell lymphoma. So this is another case of big B cell lymphoma with the evident of neck FNAC result. 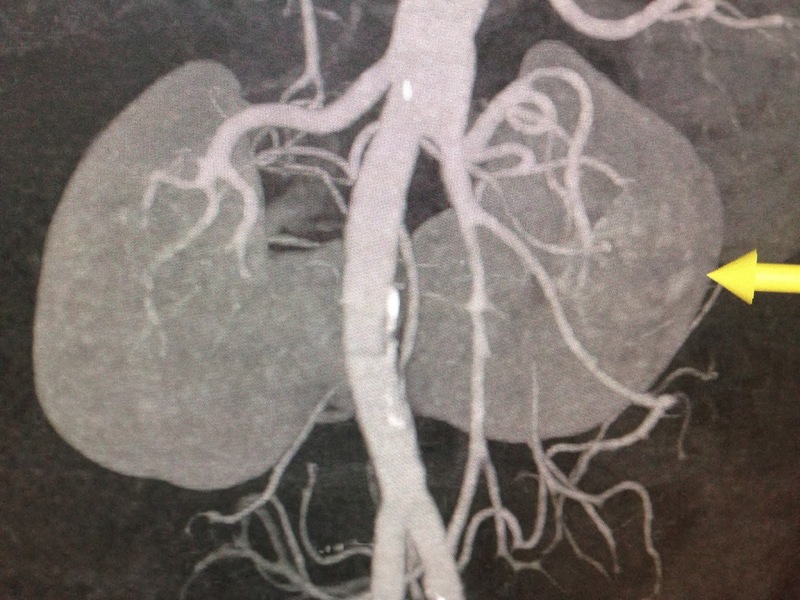 Man 63 yo, medium arterial hypertension with umbilical battement with the heart beat. 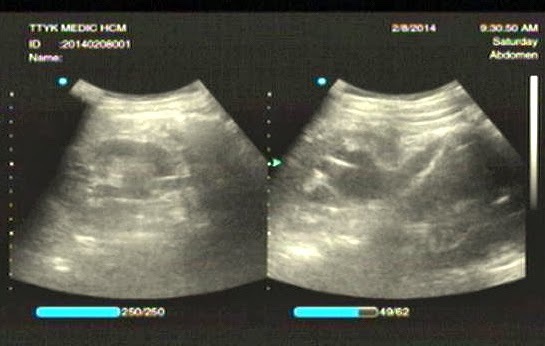 Ultrasound of abdomen detected kidney on 2 sides in hydronephrosis due to ureteral compression by the mass covering arround the abdominal aorta. 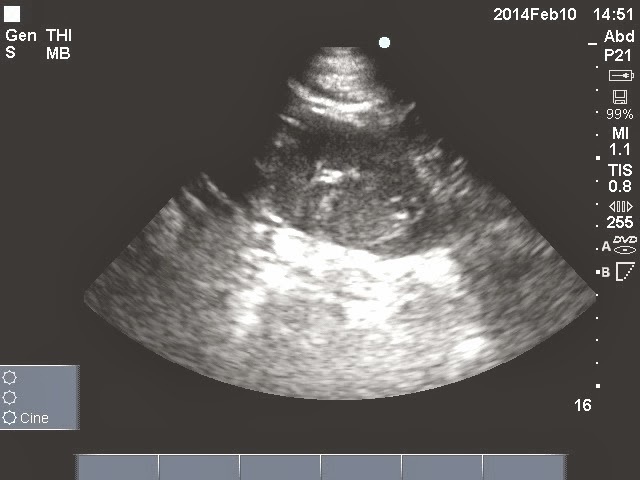 Of which structure was echo-poor looked like a cyst. 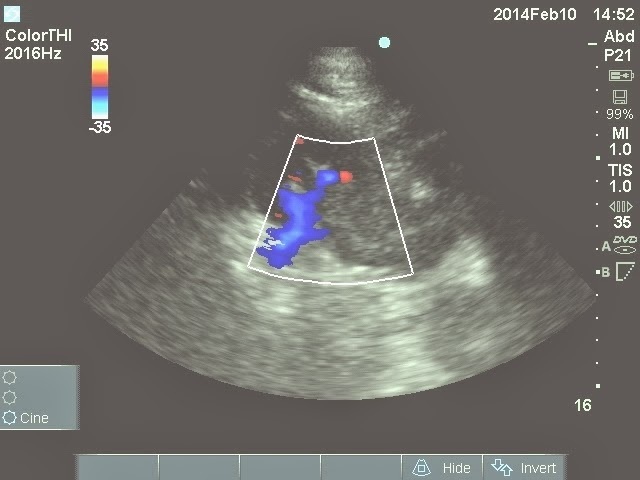 The aorta was pull up near the umbilicus (see 5 ultrasound pictures ). 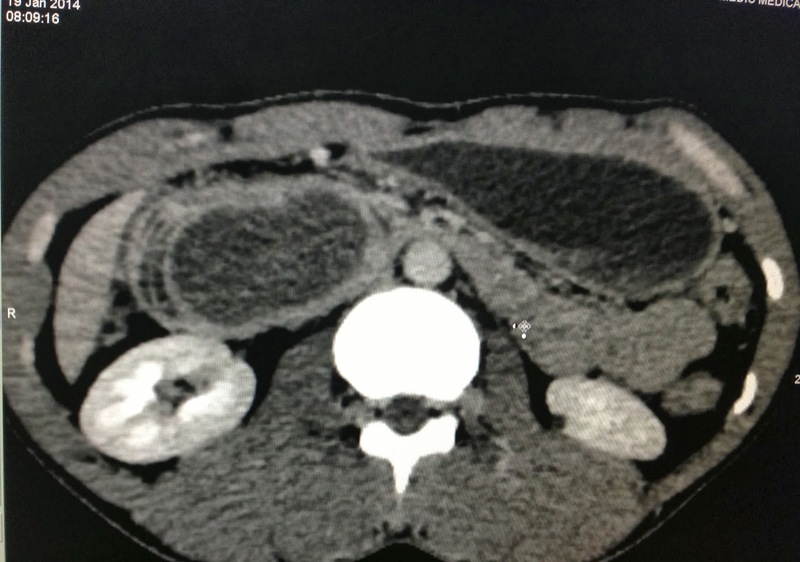 MSCT with CE (4 CT pictures); CT 1..kidney hydronephrosis, CT 2, CT 3, CT 4 .. intratumor abdominal aorta. 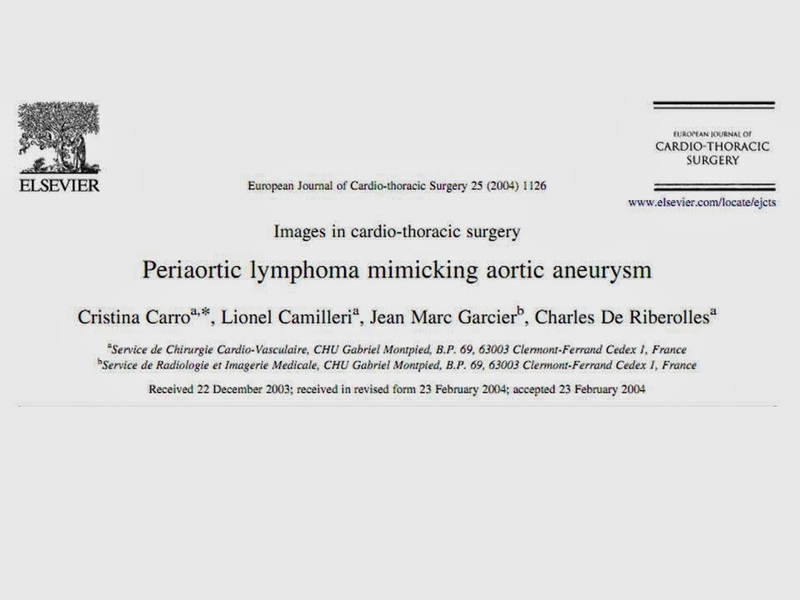 Urologist suggestion was retroaortic lymphoma and he put 2 jj stent intra ureter and operation for biopsy this mass. 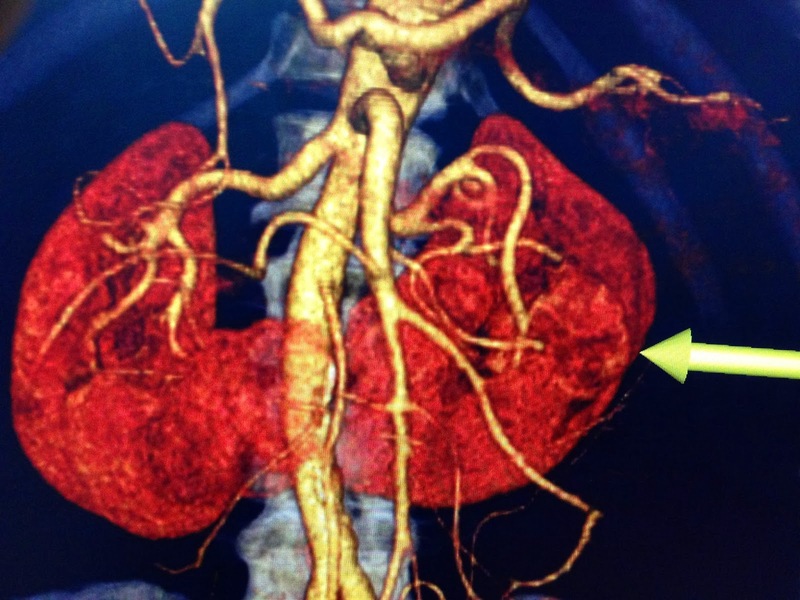 Open operation detected this mass being fixed and covering aorta and compressing completely causing collaped IVC. ( see foto per op.1 and 2..right ureter with jj stent inside). 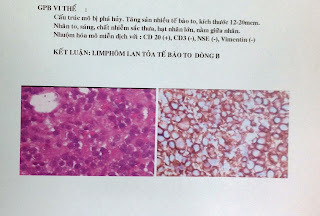 Pathology report was big B cell lymphoma. Man 56 yo for a long time being follow up with thyroid nodule, now he detected the palpable mass on right neck, sited at middle SCM. 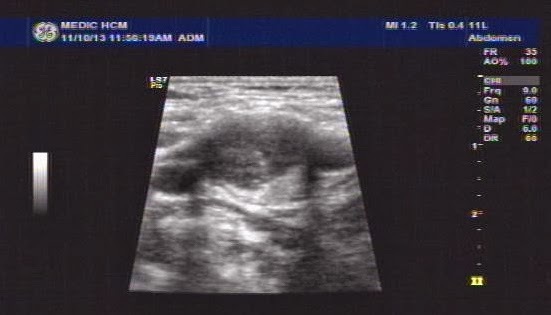 Ultrasound suspected lymph node with B mode ultrasound (image 1,2: thyroid nodule) on right side of the neck. 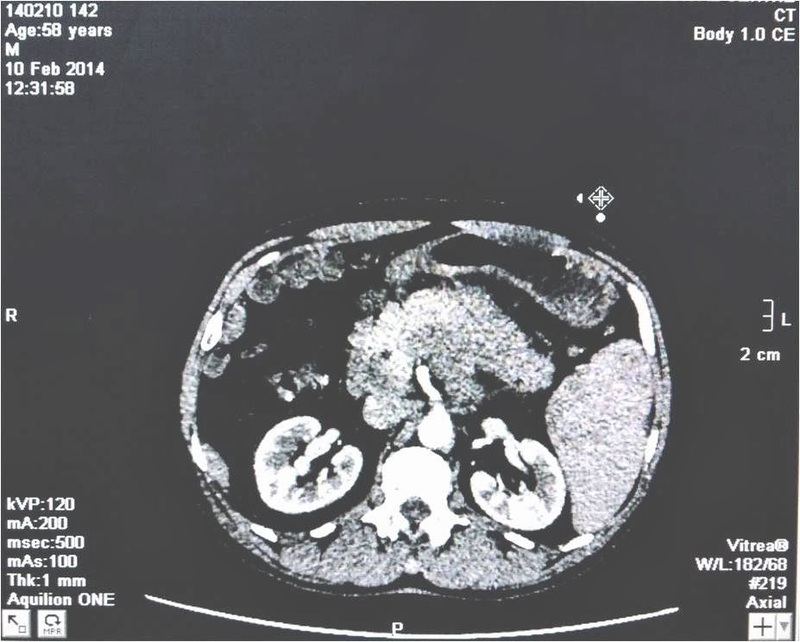 For ruling out a thyroid cancer, a FNAC was performed for the thyroid mass and the result was colloidal goiter. 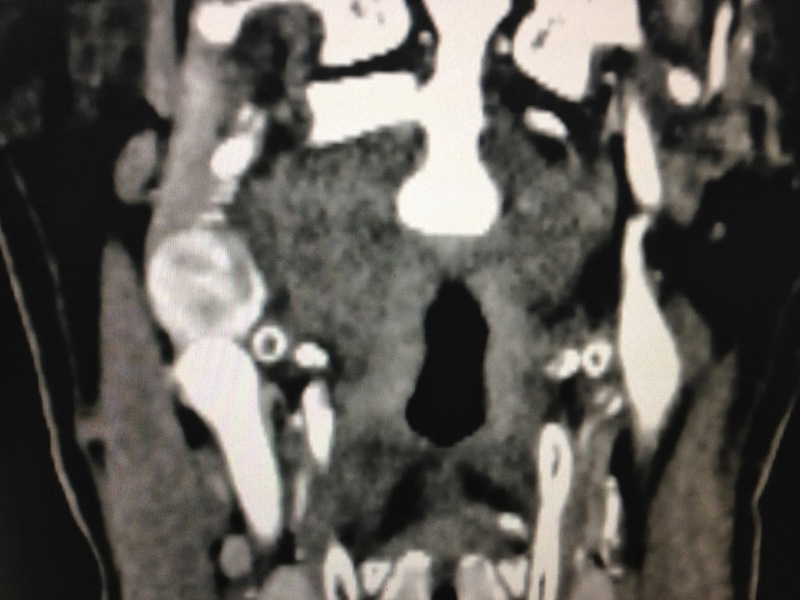 MRI of the neck also suspected this mass between carotid internal and external arteries ( 2 MRI pictures). For diagnosing this neck mass we did CDI for guiding FNAC, but this mass was very high vasculature and situated between ICA and ECA. 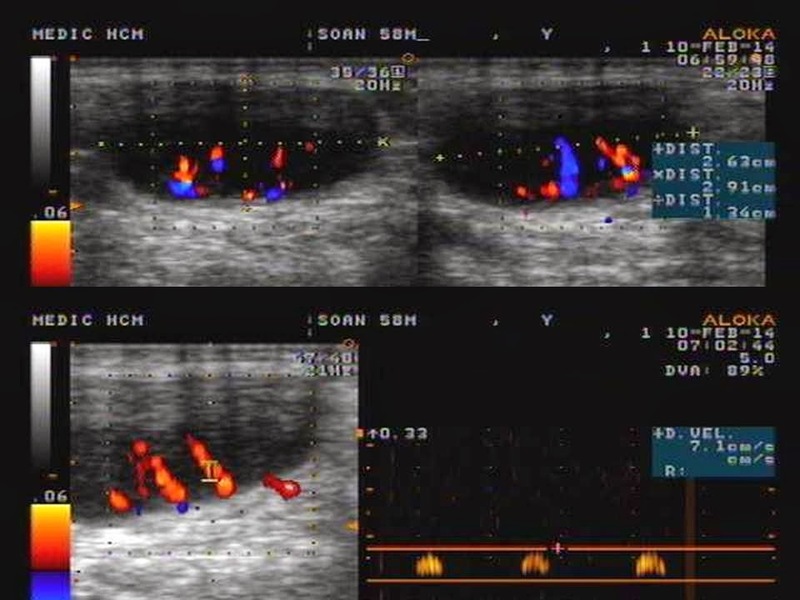 (See 2 CDI images of cross section and longitudinal scanning this mass). MSCT ANGIO was done to see carotid artery on right side was encarcerated by this tumor with very high vascular structure. 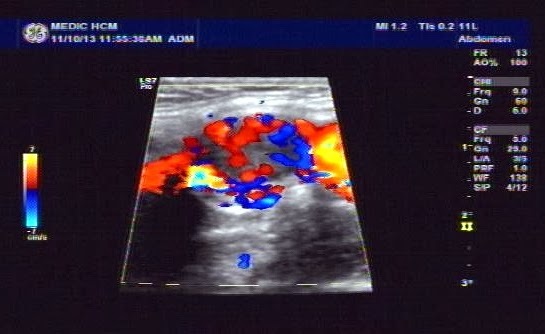 Diagnosis is CAROTID BODY TUMOR ( See 3 MSCTA images). 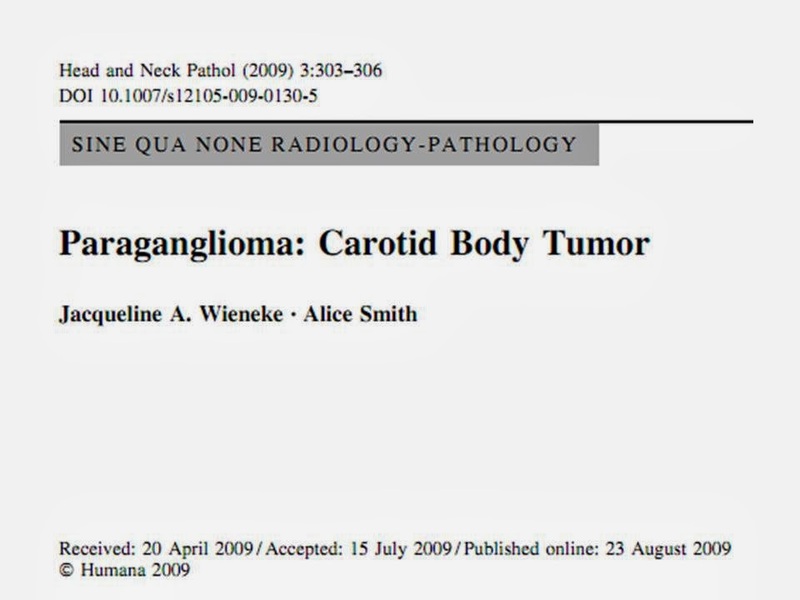 Operation removed completely this tumor in safety and microscopic with immmunohisto staining report that a paraganglioma tumor. 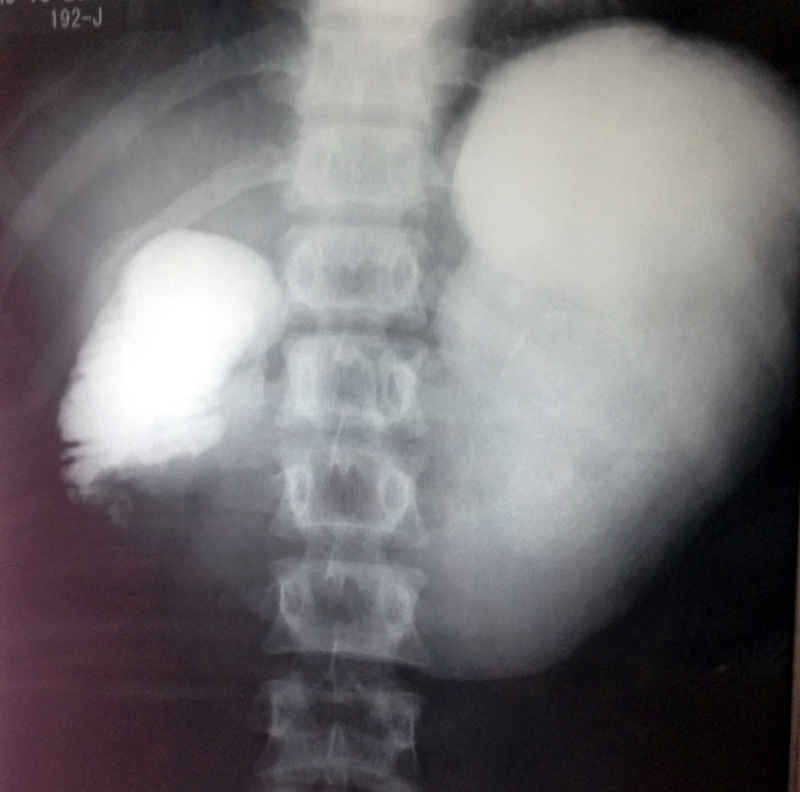 MAN 23 YO, for ONE WEEK UNDERWENT A BLUNT TRAUMA NEAR PARAUMBILIC AREA BY BICYCLE ACCIDENT, HE WAS GETTING WORSE MORE AND MORE BY VOMITTING, AND CANNOT EATING. 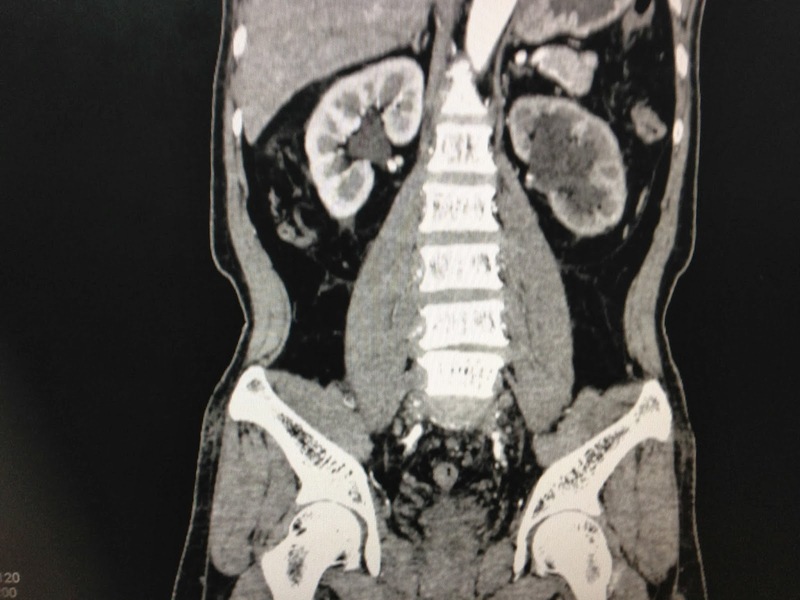 CLINICAL EXAMINATION OF ABDOMEN REVEALED A MASS OVER RIGHT KIDNEY, POSITIVE REBOUND TENDENESS ( PHOTO). 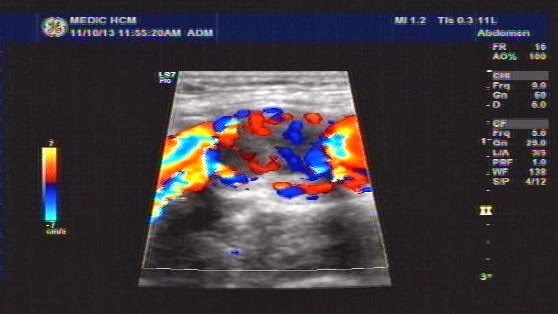 ULTRASOUND in FIRST LINE SHOWED THE STOMACH WAS DILATED. 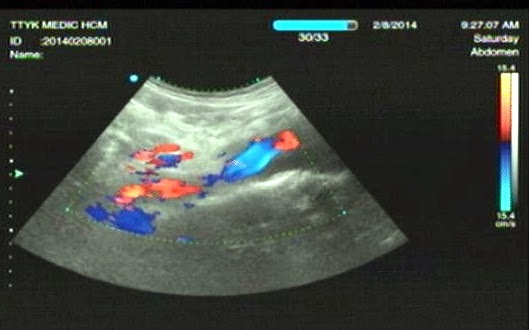 THE MASS WAS AT DUODENUM D2-D3, SIZE OF 5 CM, CYSTIC STRUCTURE BUT NO FREE FLUID IN HIS ABDOMEN ( 3 U/S IMAGES). 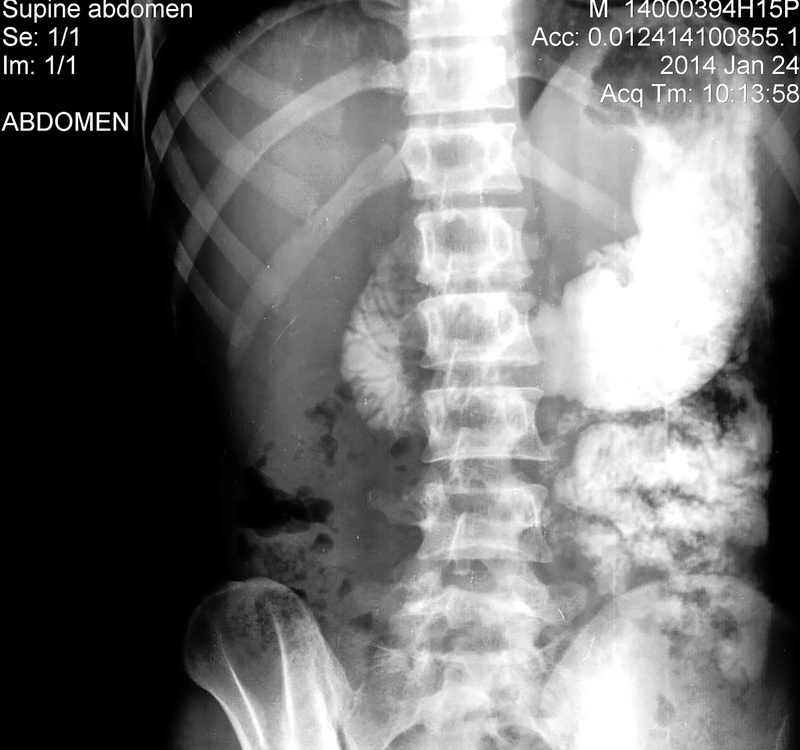 XRAYS of ABDOMEN in STANDING POSITION and BARIUM MEAL SHOWED THAT DOUDENUM in OBSTRUCTION. 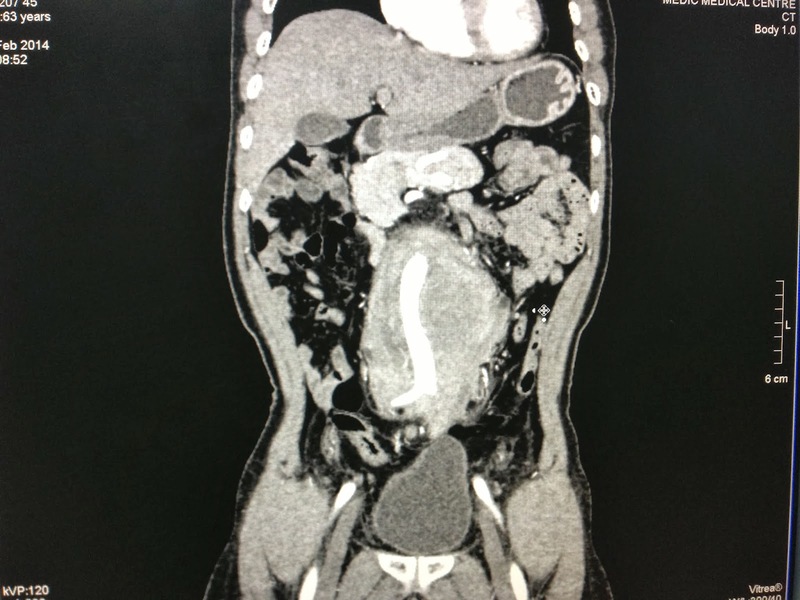 MSCT of abdomen: this mass was from duodenum wall, cystic structure, size of 5 cm. 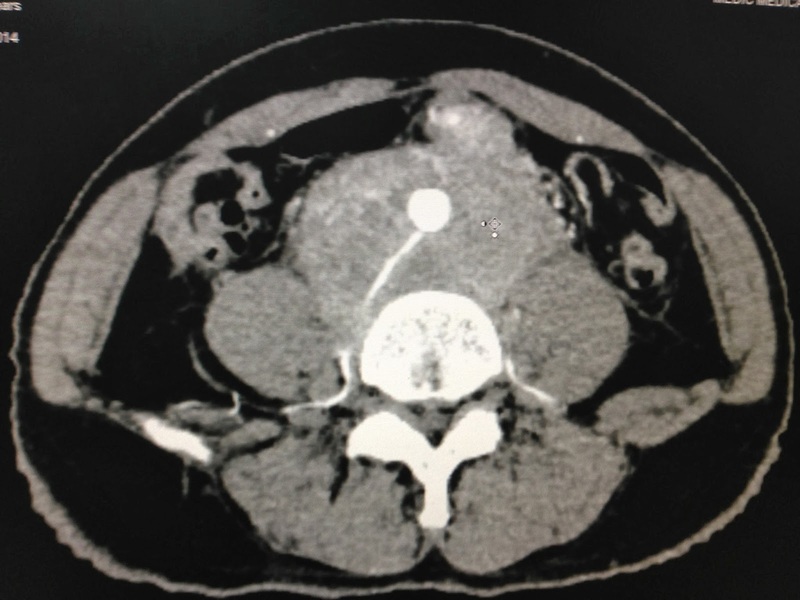 Radiologist made diagnosis of hematoma intraduodenum wall without bleeding into abdomen. Medical treatment by nasogatric suction and wait and see the progress. 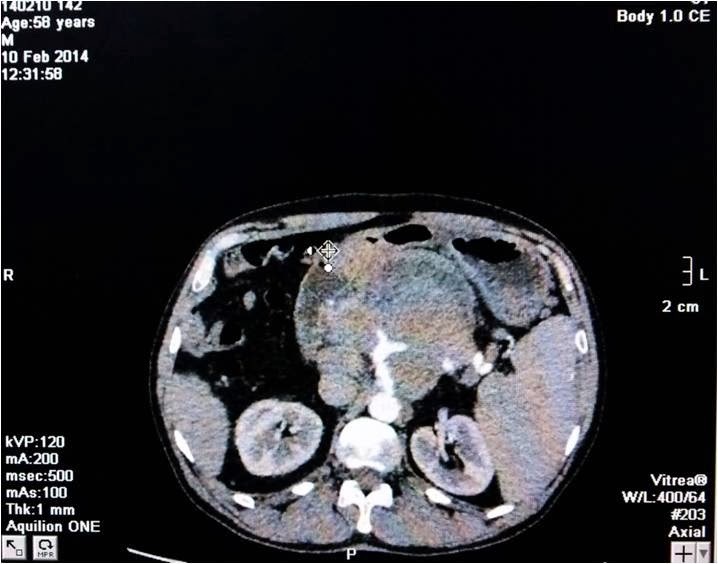 AFTER 4 DAYS for NASOGASTRIC SUCTION and IV FLUID REPLACEMENT, NASO GASTRIC TUBE HAD BEEN REMOVED and XRAY BARIUM MEAL for BEING SURE NO OBSTRUCTION of DUODENUM. 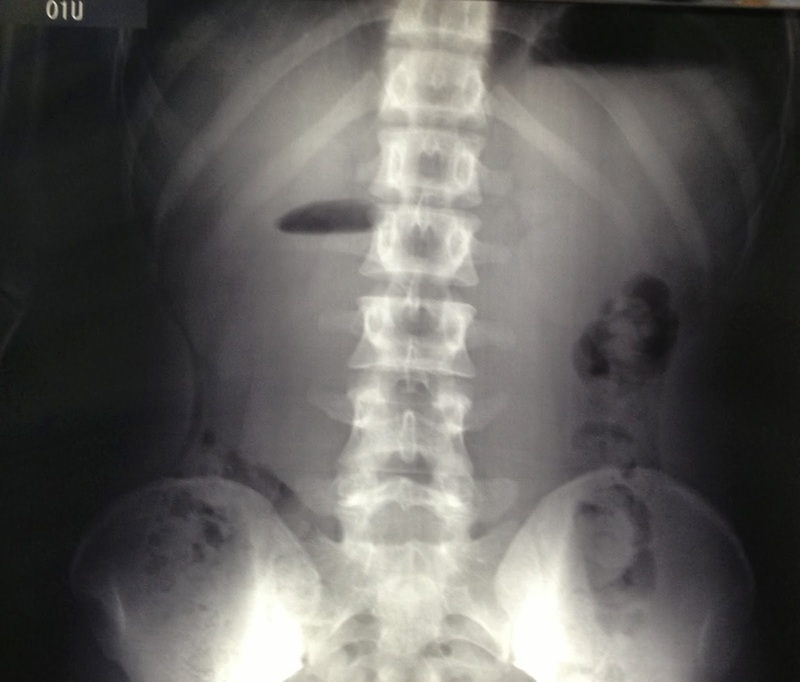 HE CAN DRINK and EAT and RECOVERY STAGE DURING SO FAST (see XRay barium meal on Jan 24, 2014). 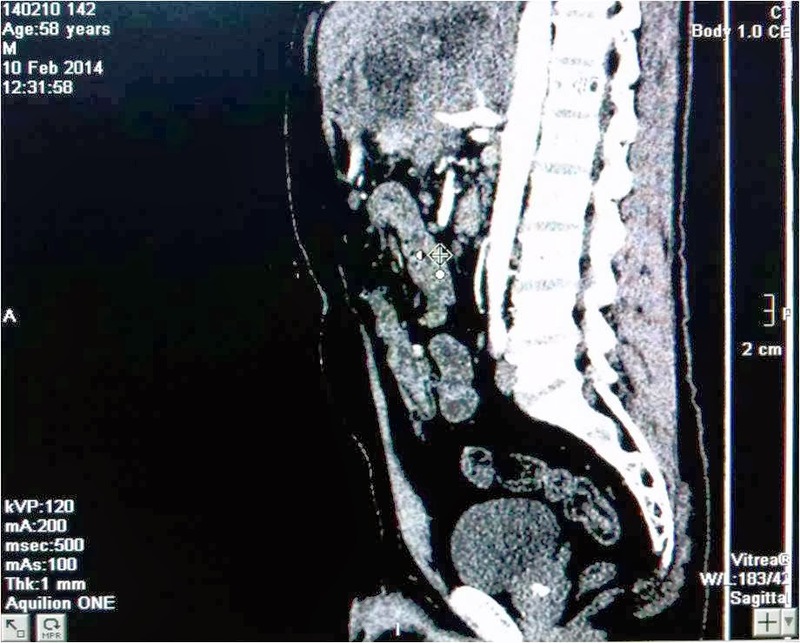 IT IS FIRST STEP of SUCCESS of MEDICAL TREATMENT for HEMATOMA DUODENAL WALL POST TRAUMA.